Exciting news to share! 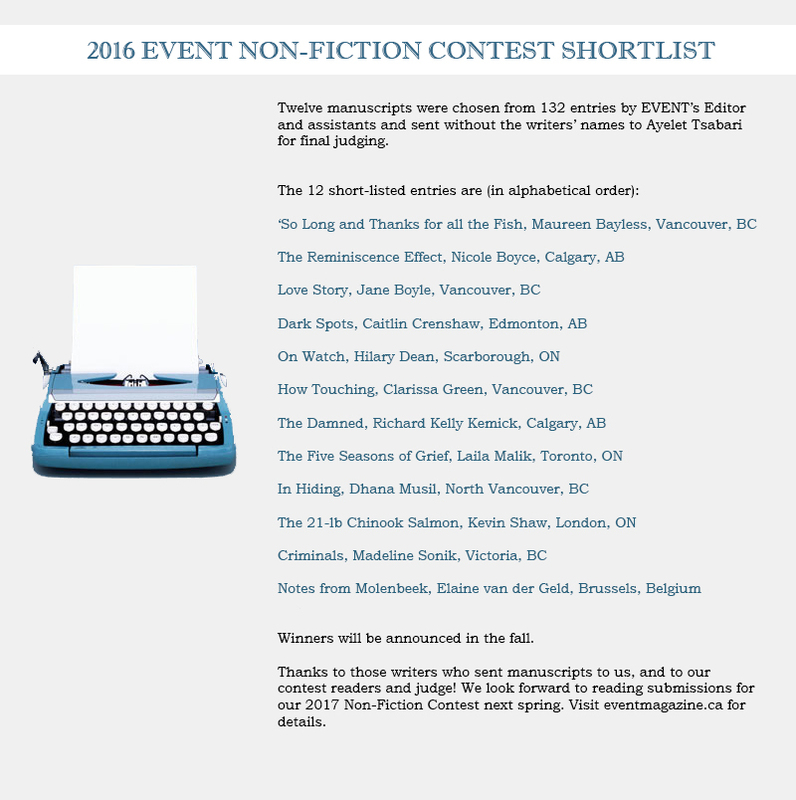 “The Reminiscence Effect” has been shortlisted for EVENT’s 2016 Non-Fiction Contest. The piece is about aging, memory, and a non-fiction writer’s responsibility to the people they write about. I’m pleased as can be, and can’t wait hear to hear the winners in the fall. Congrats to all the other shortlisted writers, including my UBC pals!